Raw & Deep House Producer/DJ, playing in live acts based in Kyoto, Japan. 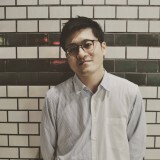 Yusuke Yamamoto established self label of "Canary Recordings". He made a hit in Europe with the vinyl collaborated with the best artists, Rick Wade, Kresy, Kindmmer and others. The vinyl was played by Luciano, D'julz, Anthony Collins and so on. More works vinyl released from "You Want" from "Série Limitée" UK played by a lot of famous DJs. New vinyl released by Minuendo(Spain), PIV(Netherlands) and more. Now his fields are even in Berlin, Frankfurt, Helsinki, Barcelona and more to the world.